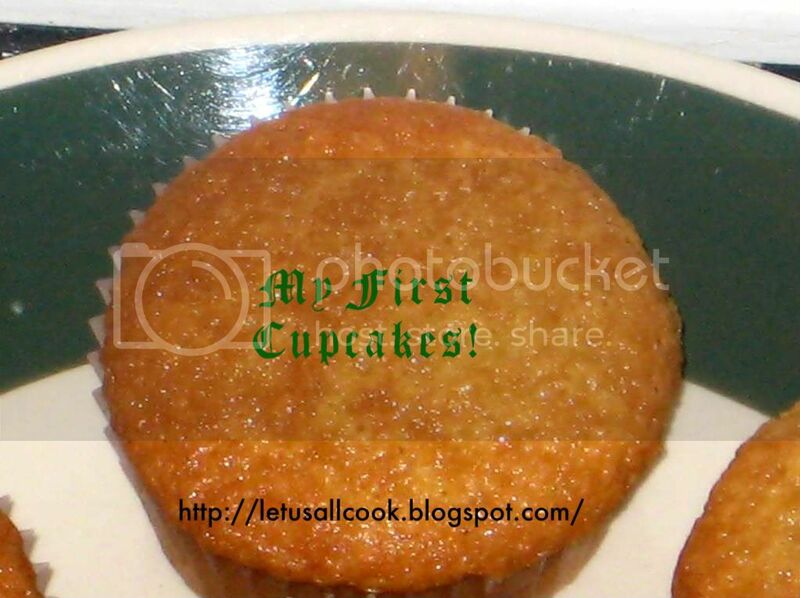 Classic cupcake Recipe - A simple and easy way to bake! This is the first time I am baking Cupcakes. I wanted to bake them but I did not have the cupcake pan with me. Last week I made it a point to this cupcake pans so that I can make these cute little cupcakes and decorate them for Halloween. Cupcakes are cute. They are little and make me feel like a kid when I eat them. This classic cupcake recipe is the base for many variations. I tried a few decorations on these cupcakes for Halloween which I will be sharing soon. I have always wonders if Cupcakes and muffins are the same. But my recent research has taught me that there is a difference. To put is simple, Cupcakes are miniature cakes and Muffins are breads. Cupcakes are usually prepared for an special occasion and have icing on them. Whereas, Muffins are eaten for breakfast and generally has a fruit in it. Example Blueberry Muffins,Strawberry Muffins. Coming to the Classic Cupcake recipe. Line your cupcake pan with paper or foil liners. In a bowl, beat the butter and sugar together. Now add the flour little by little mixing it well with the beaten mixture. 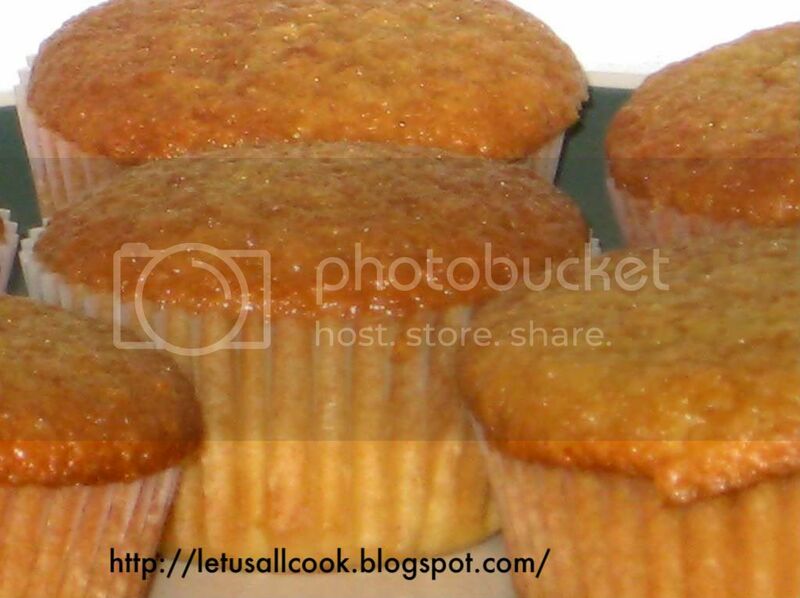 Pour into the prepared cupcake pan and bake for 25 minutes, or until an inserted toothpick comes out clean. Note: Pour so that it fills only 3/4 of the cup as the cupcakes will raise. Your Classic Cupcake is ready. Cool it for 5 to 10 min before doing any decorations. You can store it in an air tight container and refrigerate it. It tastes awesome the next day. Happy Diwali to every body. Very good blog and keep it up. Let every one have good cup cake for Diwali. ooh, the cupcakes look cute dear! Nice job. They look pretty good... Is there a glaze? beautiful cup cakes..they look so pretty!! @anu, no yaar, i think its the magic of light! Yes Sangeeth, the cupcakes have really come out very well. I'm also in search of the perfect eggless cupcake. Also cupcakes got it's name from the "cup" measurement of flour, butter and sugar in the recipe. Yummy cupcakes Sangeeth..and I thought cupcakes and muffins are the same! !I made some last weekend,almost similar recipe,from Deeba's blog.Shall try out your recipe next time..too good!! Cup ckae looks simply gr8. Your cup cakes have come perfectly dear!